Nokia has literally shaken the Android mobile market after announcing that it will be launching several Android mobiles. Some of its upcoming models like Nokia 8, Nokia E1, Nokia P1, Nokia C1 etc. can give stiff competition to other Android mobile brands like Samsung and Xiaomi. Nokia D1C is yet another such model. The Nokia D1C price in India is expected to be close to 15k. The dual SIM 4G enabled smart phone will run on Android V7 (Nougat). It will feature a 1.4 GHz Octa Core processor. It will have a 3 GB RAM and 32 GB internal memory. The phone will also sport a 16 MP primary camera and an 8 MP secondary camera. If rumors are to be believed the phone will have a 5.5 inch full HD display with 1920 X 1080 px resolution. 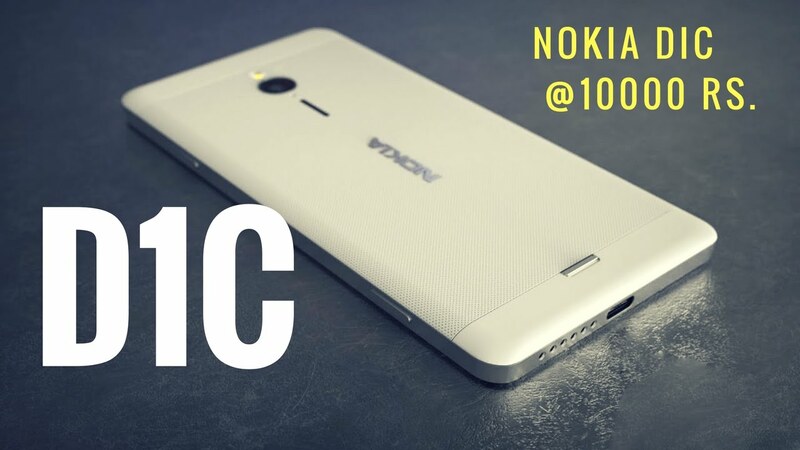 Which technical specifications make Nokia D1C so special? At a price of below Rs 15,000 the phone offers a 16 MP camera in the rear and an 8 MP selfie camera. The high resolution cameras of the phone take impressive clicks both in high as well as low light areas. The display will come with a 401 ppi which will enhance the clarity of the pics and videos on screen. An Octa core CPU paired with a 3 GB RAM will certainly give you a smooth experience while working on multiple tabs. A 32 GB internal storage which is expandable up to 128 GB is enough space for most of the users. It has a separate memory card slot apart from the SIM slots. This is the main advantage of this model as unlike most of the Android phones, it does not have hybrid SIM slots. It is powered by a 3000 mAh removable battery which provides enough power backup for more than a day. Its battery is also removable; so replacing battery is easy. Also when the phone freezes or hangs, you can easily take the battery out and restart the handset to get it back on track. A 5.5 in full HD display looks very appealing. Game enthusiasts can also enjoy their gaming sessions on the phone. A 5.5 in screen is neither too big to carry in pocket nor too small to make it look cheap. NFC support is also not present in the phone. Considering the features available, the Nokia D1C price is a little bit more than expected value.